One of the keys to looking good is feeling good. Swagger is the foundation by which each guy builds his own style, and ultimately, wardrobe. YouTube sensation Lilly Singh may have said it best when it comes to swag, “love who you are, embrace who you are. Love yourself. When you love yourself, people can kind of pick up on that: they can see confidence, they can see self-esteem, and naturally, people gravitate towards you.” That’s exactly the inspiration fashion designer Dirk Bikkembergs portrays in his collections: energy, creativity, confidence. If you start with the right mindset, you’ll be able to rock anything in style. Style Advice: Typically runway looks can be a bit ‘out there’, and you’d want to just get inspiration from it to create your own version, but Dirk’s look above can be a ready-to-wear outfit without a second thought (other than how awesome you feel). 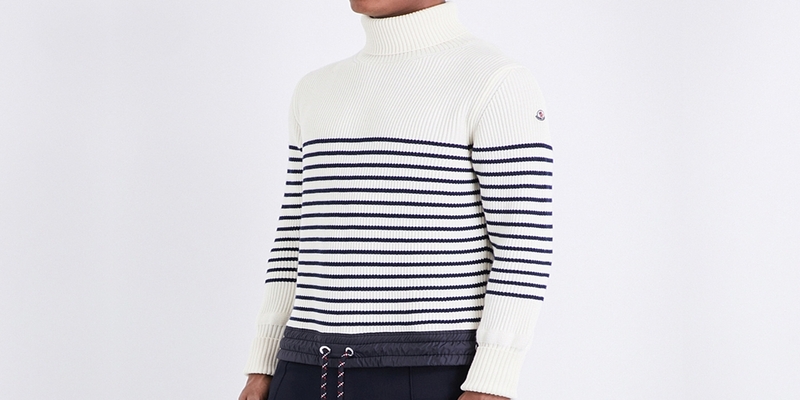 Start with a clean turtleneck with a classic pattern, like this pick from Moncler – a brand that knows a thing or two about keeping warm in style. Throw on a midnight blue topcoat from Barneys and pair it with similarly-colored trousers from Tiger of Sweden. 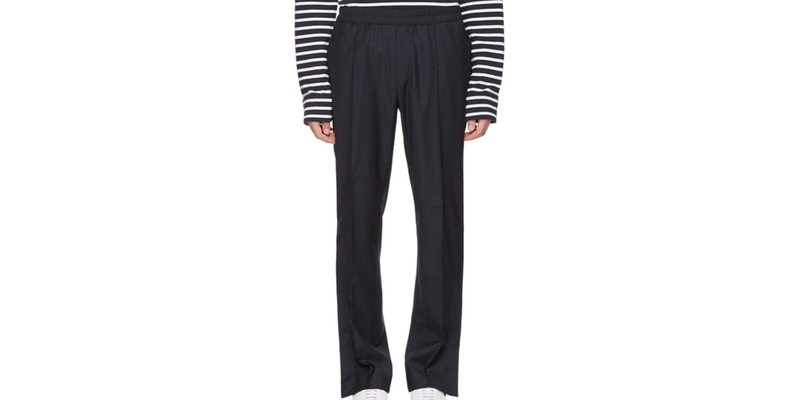 The looser fit is back in the mainstream, but this is more of a traditional fit without being overly trendy. 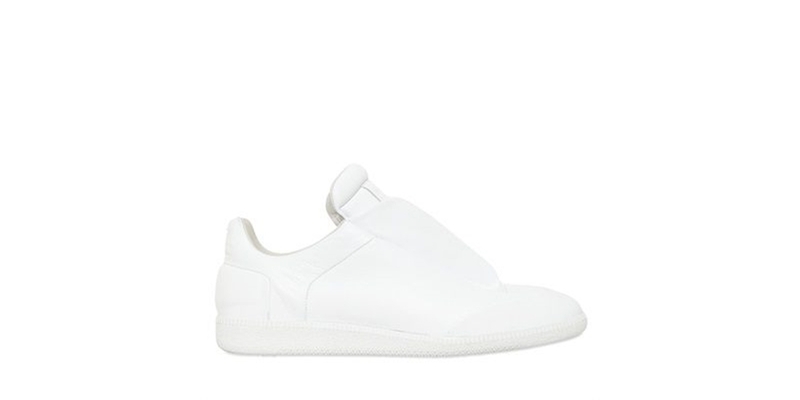 Complete the look with timeless, minimalistic white sneakers like these from Maison Margiela. 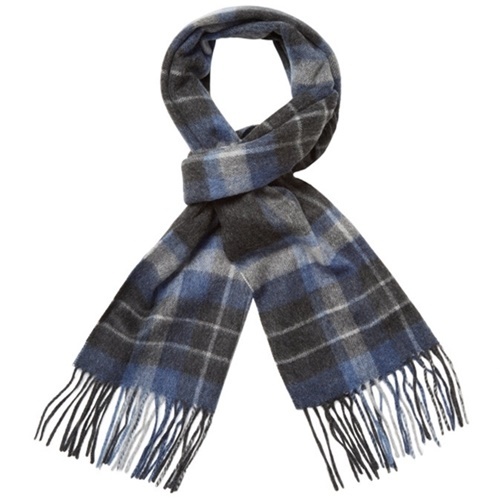 Must-Have: As we transition to the winter months, it’s time to break out your winter accessories, and that means your scarf game should be on point. Whether you are building up your collection or starting from scratch, this classic lightweight Burberry is a keeper for any closet. This option has the traditional pattern, but the navy version will give you that luxurious style while still standing out from the crazy popular camel pattern (which has spawned several cheaply made wannabe versions). If you don’t want to drop that much on a scarf – and don’t want a fake – then opt for a similar style from a reputable brand (and much more affordable) like this one from Saks Fifth Avenue. Industry Update: Two heads are usually better than one, so it should come as no surprise that yet another fashion collaboration is about to hit the shelves. H&M and lesser known, but rapidly growing ERDEM joined forces and the results include many grail items, from floral backpacks to patterned topcoats. This is a carefully curated collection that’s going to sell out quickly, so be sure to stop by an H&M store (or go online) because the collection goes live on November 2nd, but some items may go out of stock that very same day.